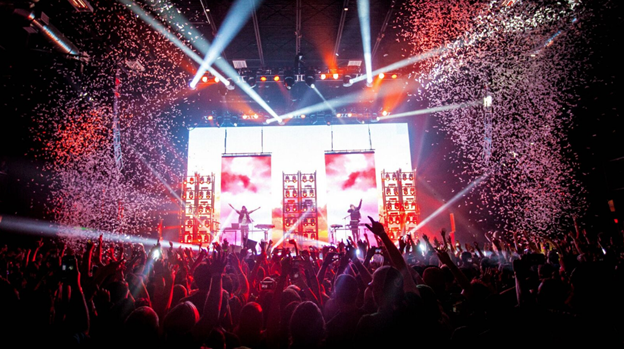 As Porter Robinson and Madeon continue to play shows across North America on their “Shelter Live” Tour, the duo recently announced plans to take the show overseas in 2017 with a series of live shows in London, Paris, Amsterdam, and multiple cities throughout Australia. In the eight weeks since the two longtime friends released their joint single “Shelter”, the hype for them continues to grow. 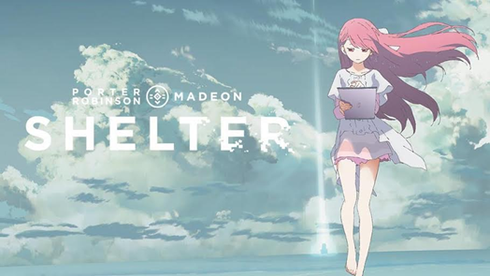 With more than 30 million combined single streams to date, 6.2 million video streams in three weeks, 20 sold-out shows (105 thousand tickets sold) “Shelter” is driven by two artists, one song, one video, and and their fanbase across the globe. The track, which hit #1 on both HypeM and Spotify Viral Global and US charts upon release, recently hit #1 on Japan’s Viral Spotify Chart following the live reveal of the track’s animated short film via jumbotron in Tokyo’s Shibuya District. The video apparently trended worldwide on YouTube and Facebook, and drove increases in track streams across platforms and around the globe since its mid-October reveal. Following the video’s release “Shelter” hit its highest daily listener count to date on Spotify, and entered the Billboard Hot Dance Electronic Chart Top-20 at #16 and US Dance Radio Top-50 (#46). The track apparently continues to hold steady on the Billboard Hot Dance Electronic Chart at #16 and has moved up 5 spots at US Dance Radio (#41). "Shelter" follows 17-year-old Rin who lives alone inside a futuristic virtual reality simulation that she controls through her tablet. The film is a convergence of creative disciplines and cultures; a digital fairy tale fantasy that interweaves high-art illustration, Internet subculture, virtual reality, electronica, and allegory. The 6-minute animated short film explores the modern affliction of living through our devices and the sacrifices we make for those we love. Featuring an original story and characters created by Robinson, who Executive Produced the project, With art direction by Yusuke Takeda (Berserk, Ghost In The Shell, Sword Art), key animations by Megumi Kuono (Idolm@ster), storyboard director Toshifumi Akai (Magi: The Labyrinth of Magic) the video was created in partnership in association with A-1 Pictures and Crunchyroll.